It’s the most special day of your life and the events team at the Maldron Hotel Derry will create an unforgettable day for you and your guests. Our dedicated wedding team are available to advise and help you plan the wedding of your dreams. With an extensive range of options to suit any couple and an experienced team we will ensure that your day will be perfect and that no detail, however minute, will be overlooked. The Tyrconnell Suite is tastefully decorated and complete with it’s own bar, it can host upto 200 guests. 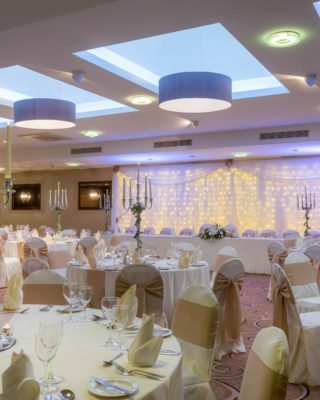 This well appointed banqueting suite is located on the ground floor and adjacent to the hotel lobby creating the ideal setting for your wedding day in Derry city centre. Ensuring you choose the perfect wedding venue is one of the most important decisions you will ever have to make, our impressive facilities and charming location with stunning views of the 17th Century City walls on our doorstep it should make your selection a lot easier. Whether you are planning a small intimate wedding or a more formal reception the Maldron Hotel Derry is a superb setting for your wedding day in the heart of Derry City. Our dedicated team will walk you through, step by step all the details of your big day. 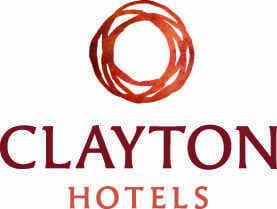 Our Tyrconnell Suite is fully licensed providing you with the option of making the Maldron hotel Derry the venue for your civil ceremony in Derry City. Our experienced wedding co-ordinators are waiting to help you plan the most special day of your life.